What if there was a weight loss supplement that could show you noticeable weight loss in two weeks? And what if that supplement was derived from natural ingredients so you did not have to worry about consuming dangerous or harmful chemicals? And what if it was inexpensive, easy to use and made you feel good about yourself? You probably would think someone is trying to pull a fast one on you. But that is not the case. Meratrim is a breakthrough weight loss product that is giving the rest of the weight loss supplements a run for their money. 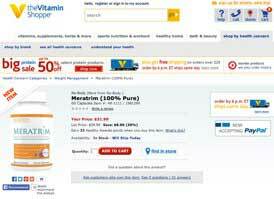 One bottle of sixty Meratrim capsules costs £25.00 / $39.99. The recommendation is to take one capsule in the morning thirty minutes before breakfast and one in the evening thirty minutes before dinner. The capsules themselves do not contain any wheat, gluten, soy, milk, egg, fish, or artificial flavouring, colouring or preservatives which makes it suitable for those with certain allergies and for vegetarians. Availability in the UK is from the Vitamin Shoppe – they are US based but accept payment via paypal and ship to the UK and Ireland. Meratrim is a proprietery blend of 400 mg of garcinia mangostana and 400 mg of Sphaeranthus indicus which are fruit and flower extracts. The total dosage of 800 mg is what has been shown in studies to bring about weight loss. 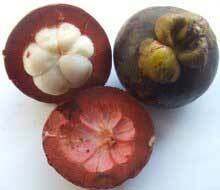 Garcinia mangostana comes from the rind of fruits. Sphaeranthus indicus, also known as East Globe Indian Thistle, is used a lot in Ayurveda which is an Indian holistic practice that is more than five thousand years old and is said to provide a lot of health benefits. Both of these extracts have been extensively researched and studied and have a tremendous effect on adipogenesis and lipolysis—in other words—fat burning. Once these discoveries were made, the two extracts were combined to form Meratrim and studies were done using this unique blend. Unlike other weight loss supplements that use natural ingredients and give you a long list of studies about those ingredients and their benefits, the makers of Meratrim actually put their own product to the test to see if their theory was right about these two unique extracts. Clinical studies were conducted on real people (not animals) to see how and if the product works. In the eight-week study, they discovered that in only two weeks, study participants not only started to lose weight, but also had their waist sizes reduced. And in eight weeks, hip sizes were reduced. The study was done on adults who had a body mass index (BMI) of thirty-four. They were also instructed to eat a two thousand-calorie diet and exercise for at least a half hour five days a week. Another important consideration is that unlike other supplements, Meratrim contains no stimulants so you will not experience any of those jittery or heart-racing feelings that often come with other weight loss products. While the price off of the product’s website is reasonable, you can find it for less through stores and other online retailers like GNC, Whole Foods, The Vitamin Shoppe and Amazon. There is no money-back guarantee which many other supplements offer. One more thing that is not listed on the Meratrim site is if there are any adverse side effects. So make sure you speak with your doctor before using the product—especially if you are on medications or have a chronic condition. Compared with many of the dozens (even hundreds) of weight loss supplements on the market today, this one definitely ranks higher than most. What is so interesting is that the manufacturers of Meratrim found a way to use two natural ingredients and not much else to produce a product that delivers on its claims to help you lose weight. They even took the extra steps of putting their product to the test on overweight people to see how it works, if it works and how quickly it works. This is the kind of information that makes consumers jump up and cheer rather than worry that they will be duped by false claims. Meratrim even went out of their way to make sure just about anyone can use the product safely like those who cannot consume gluten, vegetarians and those who are lactose intolerance. Not many products can do all of that. Finally, by not including any stimulants, you do not have to worry about how you will feel while taking Meratrim. No jitteriness or feeling out of sorts with this product. Meratrim definitely lives up to its name as a safe way to lose weight. And when you combine it with a healthy diet and exercise, you will be losing weight quickly and safely. As mentioned above purchases are made simple for UK and Ireland based customers via authorises stockist Vitamin Shoppe.